Curiosity can lead to the discovery of new concepts and skills, but it can also land kids in dangerous situations. When kids deem certain household items worthy of a taste test, a visit to the emergency room may follow. Young children can be tempted to taste fun-looking household items such as laundry pods, energy drinks, and candy-sized prescription pills. But ingesting these items can trigger a range of reactions, including breathing problems, accelerated heart rate, blocked intestines, and affected mental states. To keep children out of harm's way in their home environment, experts are stressing the importance of taking poison prevention measures around the house. Approximately half of the 2 million poisonings reported each year to poison centers across the nation involve children under 6 years old. The vast majority (80%) of poison control calls originate at home, according to the American Association of Poison Control Centers. "As we get into spring and summer months, and children are spending more time at home … despite how much supervision we give them, children still are very capable at finding substances and possibly causing a poisoning emergency,” says Dr. Cyrus Rangan, a pediatric medical toxicologist at the Children’s Hospital of Los Angeles (CHLA). Rangan offers these tips for preventing kids from ingesting toxic household substances or unsecured medications. Keep meds out of sight. Some determined kids will break into tamper-resistant bottles if given enough time, says Dr. Rangan. To mitigate this risk, he recommends keeping prescription medications high and locked away, “out of sight, out of mind.” Additionally, he recommends not transferring pills to other containers, such as day-of-the-week pill organizers. Don’t call it candy. These days, pills and vitamins come sugarcoated and even in “gummy” form. But persuading kids to take a multivitamin by pretending it’s candy can be a confusing trick. “Medicine is medicine, candy is candy,” says Rangan, who recommends keeping the two separate in a child’s home and in their mind. Watch out for new poisons. 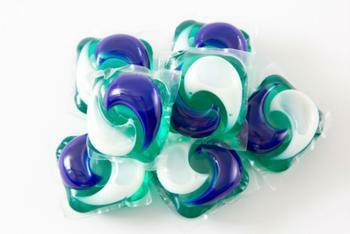 Newly popular products -- such as laundry/dishwasher detergent pods, e-cigarettes, and energy drinks -- can pose a poison risk to kids. All of these products contain highly concentrated chemicals (detergent, nicotine, caffeine), and can be dangerous for young children, who might be tempted to taste these scented/flavored products. Store cleaning products out of reach. To kids, bleach looks like water and cleaning powders look like cupcake sprinkles. Kids can also mistake the brownish cleaning liquid in a bottle in your garage for apple juice, says Rangan. “Because they look the same and are sometimes in bottles that are very, very similar, a young child tends not be able to tell the difference." Call in an emergency. If your child does come in contact with a toxic substance, call 911 if the child stops breathing or responding. Otherwise, Rangan says to call the national 24-hour Poison Control Hotline, 1-800-222-1222.